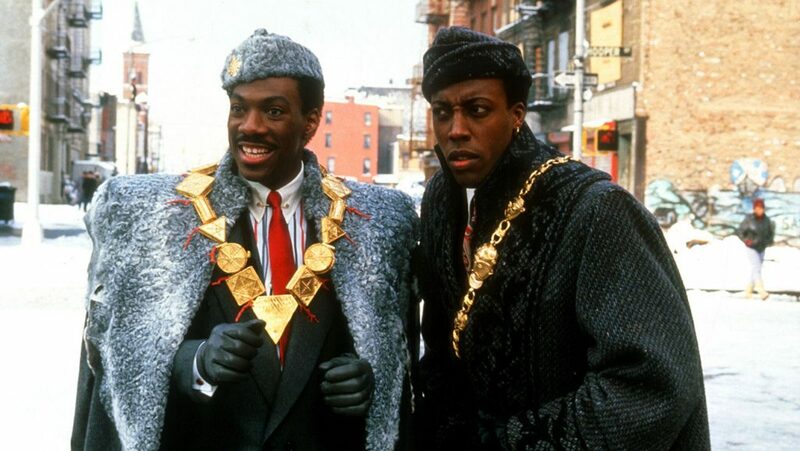 Coming to America 2 is Happening! It looks like it’s official. ‘Coming to America 2‘ is finally happening. I’m on the fence about this at this moment in time, because the original film that was directed by John Landis and starred Eddie Murphy, Arsenio Hall, and James Earl Jones, amongst a ton of other great actors is one of the funniest films ever made with a ton of heart. Doing a sequel so many years later – – I have my doubts, since nobody from the original film has signed on yet. For this sequel, Jonathan Levine (50/50, Warm Bodies) is set to direct the sequel with some help from Kenya Barris (Black-ish). In fact, Barris will rewrite a screenplay based on a Barry Blaustein and David Sheffield script, who originally wrote the first film. See there, I’m already upset about that. It’s said that Eddie Murphy is helping with development of the sequel, but has not officially signed on to star in the film as his character Prince Akeem, although it’s expected as THR reports. Let’s hope he signs on, along with every other actor from the original who is still around. I want to see how the prince of Soul Glo is doing and if Akeem is a franchise owner of McDowells, and even see if Louie Anderson is a manager now. And will Rick Baker come out of retirement to put Arsenio and Eddie in makeup again so we can see the barbershop guys or preacher? Let’s hope so. Nothing is known , but I don’t like the fact that the original writers’ screenplay is not being used and that Landis isn’t coming back. I sure have hope for this and let’s all send good vibes that all the correct pieces fall in the right place, because I could use an Eddie Murphy comedy film right now in the style of this. ‘Beverly Hills Cop 4’ Finally Happening! This entry was posted on Thursday, September 28th, 2017 at 2:11 pm	and is filed under Film, News. You can follow any responses to this entry through the RSS 2.0 feed. You can skip to the end and leave a response. Pinging is currently not allowed. « Scream Factory Is Releasing a 4K Restortion of Stephen King’s ‘Misery’!! !